Refraction is a standard eye examination that is used to determine your ability to see at all distances. This test is part of a routine eye examination. It is also used to diagnose various retinal or corneal disorders. Using a phoropter or refractor, each eye is examined separately to determine if you have a refractive error. 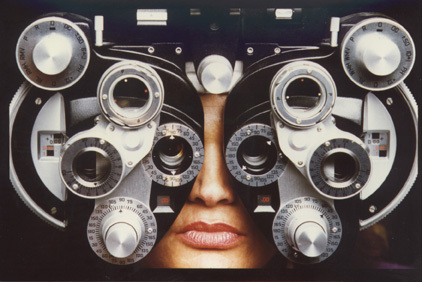 Looking through the lenses of the phoropter or refractor, you will read the standard eye chart at a distance of 20 feet. Your doctor will quickly change the lenses in the phoropter and ask you which lens gives you the clearest vision. The doctor will be able to determine if you have normal 20/20 vision, nearsightedness, farsightedness, astigmatism, or presbyopia. The results of this eye test will be used to determine the appropriate prescription for your eyeglasses or contact lenses, including whether you require bi-focal or progressive lenses. This test is conducted as part of a comprehensive eye examination at all of our office locations.